This is a rectangular Eagle Bird Cigarettes porcelain sign. 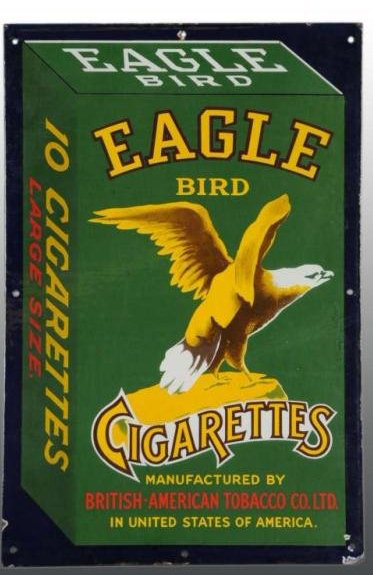 This particular Eagle Bird Cigarettes sign features a green box of Eagle Bird Cigarettes against a black background. It reads, “Eagle Bird Cigarettes, Manufactured by British-American Tobacco Co. Ltd. In United States of America” and has a gold eagle perched on a rock in the center.